At the ACI General Assembly held in Brussels yesterday, Eamonn Brennan, Director General of EUROCONTROL, addressed the capacity challenges faced by European aviation in 2018 and in the future. His keynote address underlined that the first five months of 2018 have seen much higher delays than in recent years. 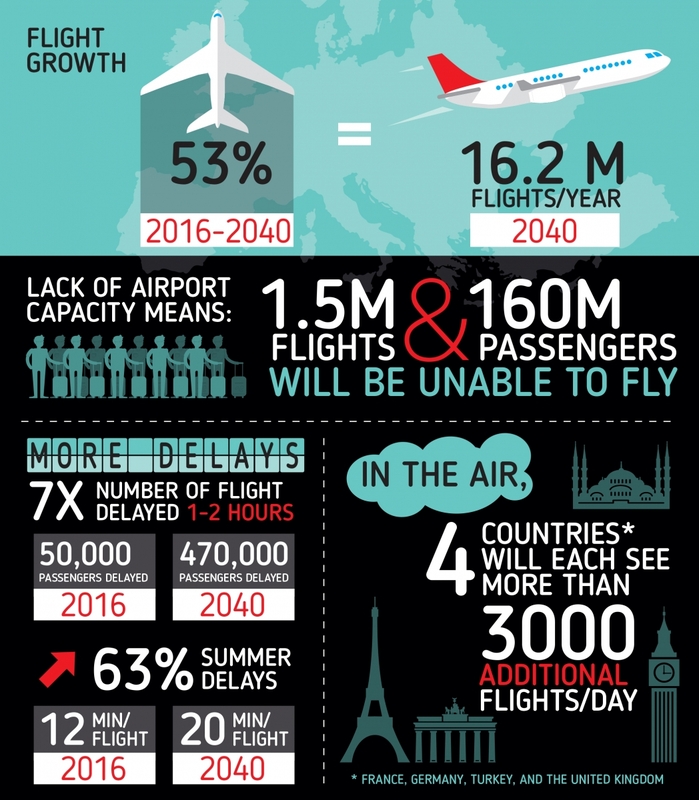 Traffic has increased by 3.4% (compared to the same period in 2017) but en-route Air Traffic Flow Management delays have risen dramatically from 0.46 minutes per flight to 1.05 minutes per flight. 28% of this delay was attributed to disruptive events (such as strikes) and 27% to weather. However, 55% was attributed to staffing/capacity issues, notably in Germany, France and the Low Countries.